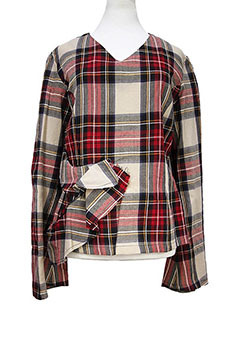 Barbara Bologna Area Possession Collection woven tartan blouse 'Punk Blousa' in fine virgin wool. 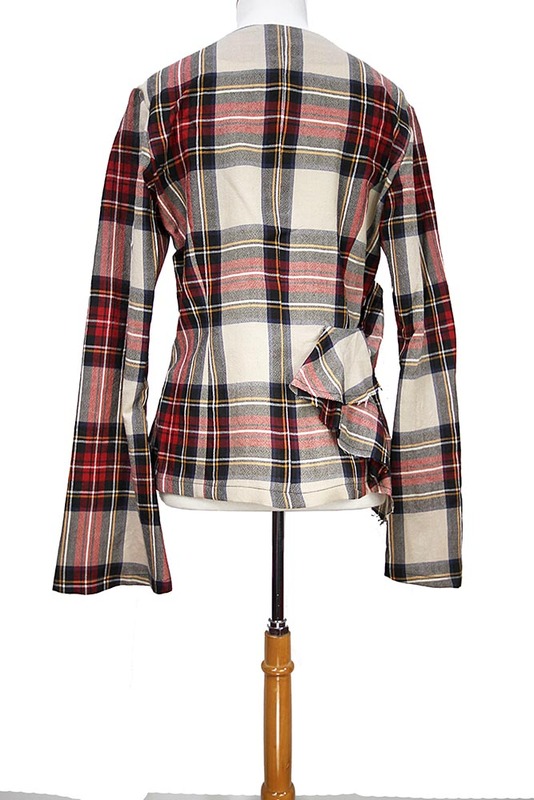 Long flared sleeves, very wide at cuffs. Finished 'V' neck. Attached curved frill on right side, with raw edges. Finished hem. 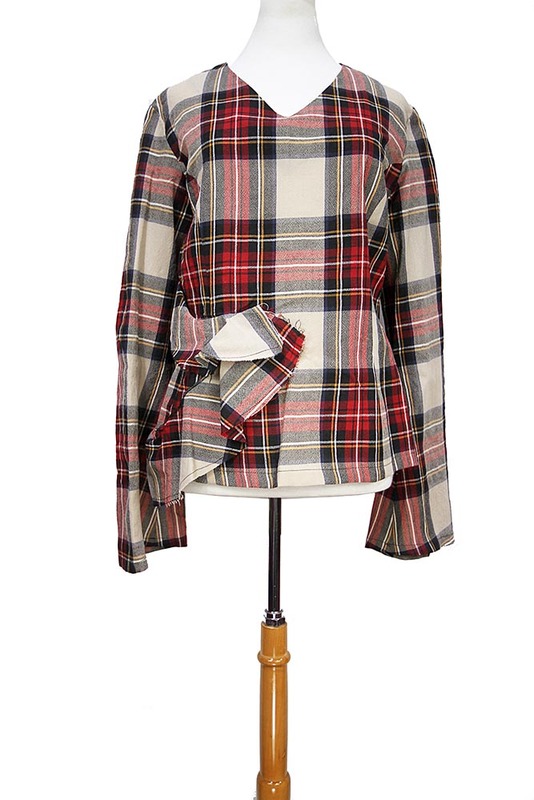 This blouse matches the other pieces in the collection using the tartan fabric. 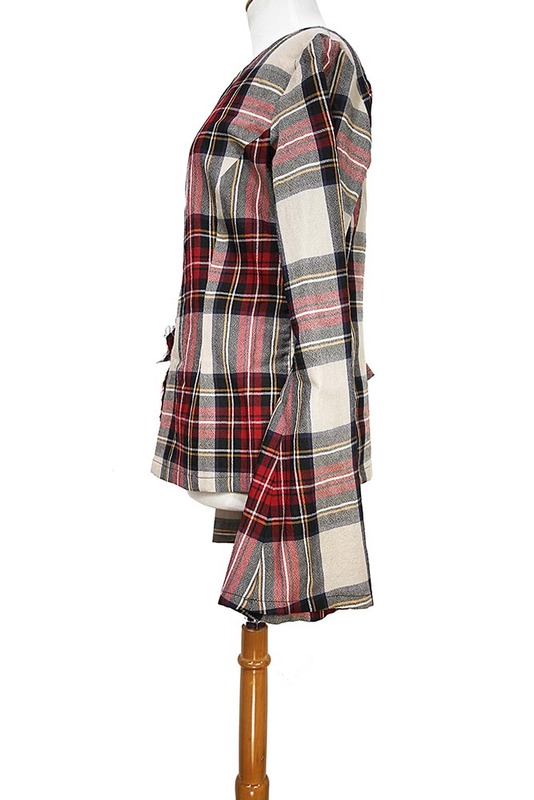 Again a stunning garment, unique and very special! This garment is sized Medium 12UK and Large 14UK but is definitely a size down from these sizings so the Medium we have sized as Small 10UK and the Large as Medium 12UK.